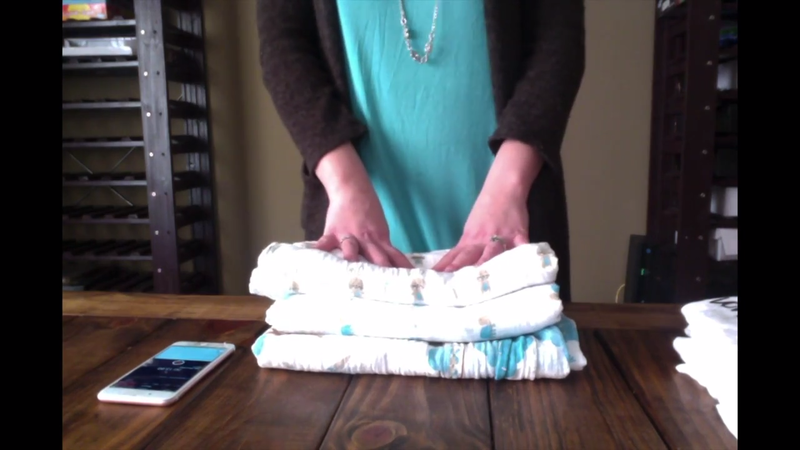 Here we have the Joylific muslin swaddling blankets. It is the Amu the Turtle and Joie the Rabbit, which is really cute. They advertise doing educational blankets, meaning they have a story behind it. So, we have, of course, Joie the hare, or rabbit, and we have Amu the Turtle or tortoise, so like Tortoise and the Hare. And so each blanket will have the picture of the character on it like this one, and it’s super cute. And then they also have a blanket with the storyline depicted of obviously the Tortoise and Hare, which is super cute. And I love the material. 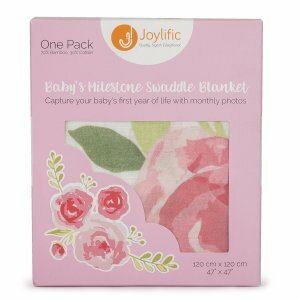 Joylific also offers Milestone Blankets which are 70% bamboo and 30% cotton. They’re really soft, durable material. I really like these, actually. These are so cute. 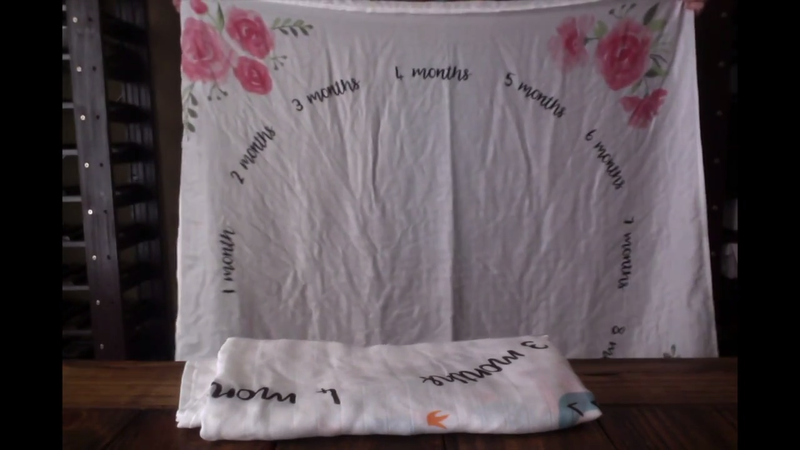 They’re 47×47, and you know, all those fun pictures you wanna do with baby talking about the age and documenting how old they are, and how much they’ve grown, this is a great blanket. At 47×47, you could literally lay baby in the middle and what I would do is I would take a picture or have a photo taken, and then you could edit and circle their age. And I think that’s a super cute idea. Not to mention it’s dual purpose, obviously a swaddle blanket, tummy time blanket, changing table cover. I mean, you could do so much with these, and I think they’re super cute. Overall, I really would get these blankets. When I bought muslin blankets, I probably bought one for the same price that you’ll buy these three for, and it’s very quality, it definitely is. These, I love. These milestone blankets are so soft. They really are, I love it. These are very soft, these are very, very soft. I think anybody would like it, even a baby. Well, especially a baby. But another good thing to point out about these blankets, I don’t know about you guys but I’ve dealt with some really bulky blankets in my time. 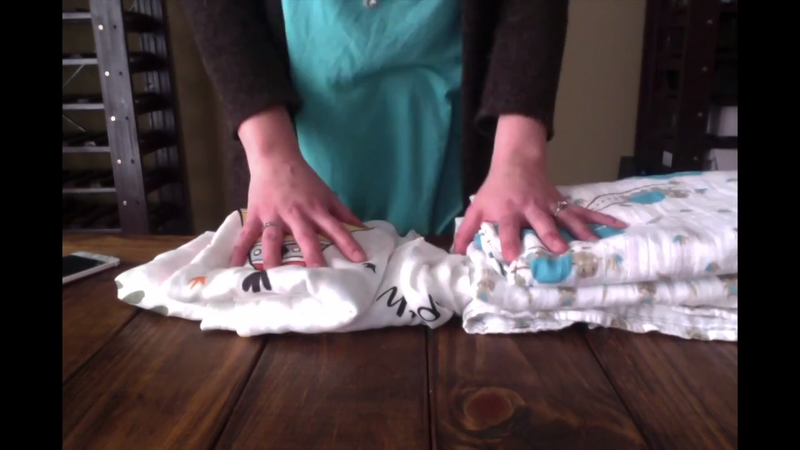 Roll them up, stick them in your bag, fold them up, they take up very little space which gives you kind of leniency to bring more than one if you need it, because let’s be honest, baby spits up, baby has accidents, even we accidentally get things dirty or life happens. So, it’s definitely nice that you can carry more than one without it taking up too much space in your bag. Get these for somebody as a gift. That would be great, this is a great baby shower gift. People sometimes don’t even think about using a muslin blanket, or they don’t know about them. I didn’t know about them until I had my third child. And I’m very glad that I accidentally found them because she was a summer baby and I wanted something that wasn’t fleece to wrap her in. So, definitely a good buy. I like Joylific, and I would give them a shot if I were you guys. 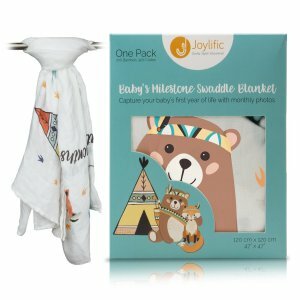 Joylific is Currently Having a Sale on Their Monthly Milestone Blanket, Get yours now!